This makes my articles quite hard to quote. So my first question is, can I fix this and have proper copying process? My second question is, can I make the document in such a way, that I can obtain returned the Cyrillic string, that I seek? All this doesn't happen, if the letters are Latin. 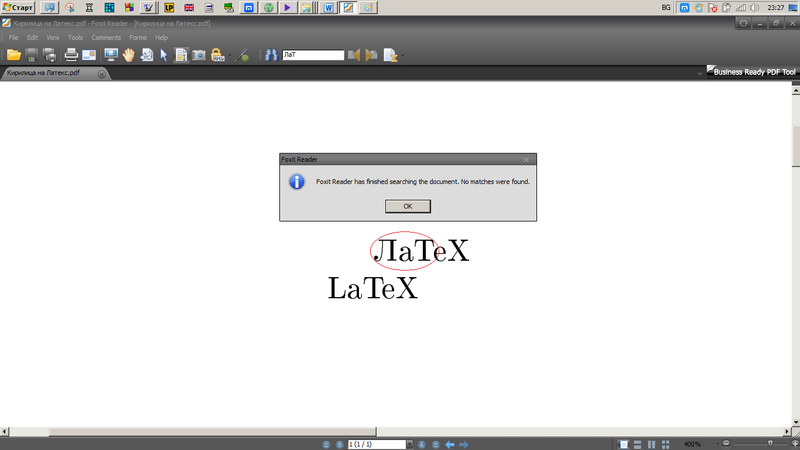 The Cyrillic letters, however, cause these problems and at this point I cannot use LaTeX due to these restrictions. I will be happy to give further details, when needed. 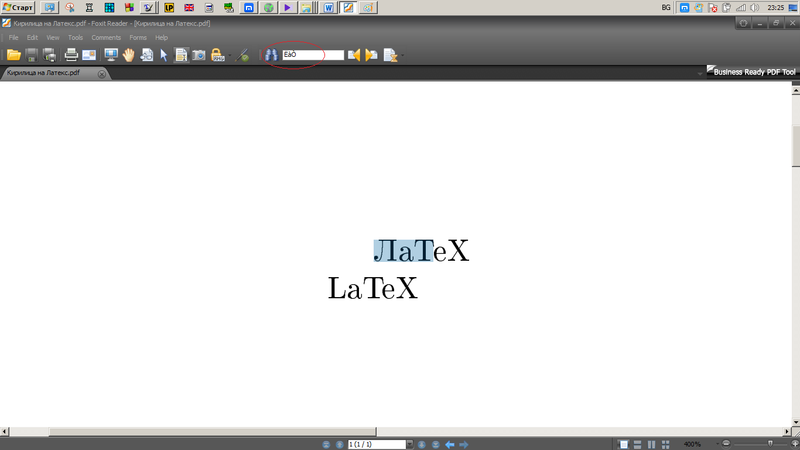 PS: I use "MikTex", pdfLatex+MakeIndex+BibTex. The problem here is that by default PdfLaTeX uses some 8-bit font encoding (T2 for Cyrillic) and doesn't provide the Unicode mapping for it. So your viewer thinks that these characters aren't Cyrillic but from latin1 encoding. produces searchable and copyable Cyrillic text in the resulting PDF. The latter approach might require some newer version of your TeX distribution because these new TeX engines and packages are being actively developed, so naturally they contain more bugs (which might be fixed in newer versions). Not the answer you're looking for? Browse other questions tagged symbols pdf cyrillic alphabet or ask your own question. Is there a \text… command for Cyrillic characters? How to reencode old OT2 files into T2A in LaTeX? How to typeset Cyrillic characters with the XeLaTeX engine? How do i use a cyrillic glyph/symbol/character in a math formula?